In February Russia shifted its occupation policy towards the Donbas from “Transnistrian” to “Abkhazian” scenario. This means that Russia doesn’t believe in Minsk accords anymore and intends to recognize its puppet “republics” in the Ukraine’s Donbas as states. On February 18, President of Russia Vladimir Putin signed a decree on recognition of “passports” issued by so-called DNR and LNR in Russia. So-called Luhansk people’s republic adopted the Russian ruble as its basic monetary unit on 1 March 2017. The ruble is the “official” “major currency” in both “republics” since 2015. Most of the Ukrainian assets in the occupied territories were stolen by occupation forces in late 2014 and 2015, but some enterprises mostly owned by Ukrainian tycoon Rinat Akhmetov remained under Ukrainian jurisdiction until 1 March 2017, when they were seized by occupation authorities who introduced external “temporary administrations” to the companies. The “nationalization” continues until now, Luhansk branch of Akhmetov’s Ukrtelecom telephone company has been seized recently. Russia controls zones of frozen conflicts in Moldova (Transnistria region), Georgia (Abkhazia and South Ossetia), and in Ukraine where the conflict is frozen in annexed Crimean peninsula and not yet frozen in the Donbas. Russia’s tactics are part of a wider pattern in which the Kremlin uses separatist conflicts as engines for corruption and criminality, and as Trojan horses to block progress in reform-minded countries on Russia’s periphery. Conflict zones prevent countries from entering NATO and integrating into the European Union. Russian tactics are parts of its geopolitical strategy. Conflicts in the territory of post-Soviet countries, inflicted, fuelled and being kept frozen by Russia, can be understood as parts of the greater whole Russia’s imperialistic plan to regain strategic points of its lost empire. Transnistrian model. A freezing of a conflict inflicted by Russia can be called a Transnistrian model or scenario of occupation. Such model is used in Moldova where Russia did not recognize the Russian-controlled region of Transnistria as an independent state over the 25 years it is uncontrolled by Moldova. 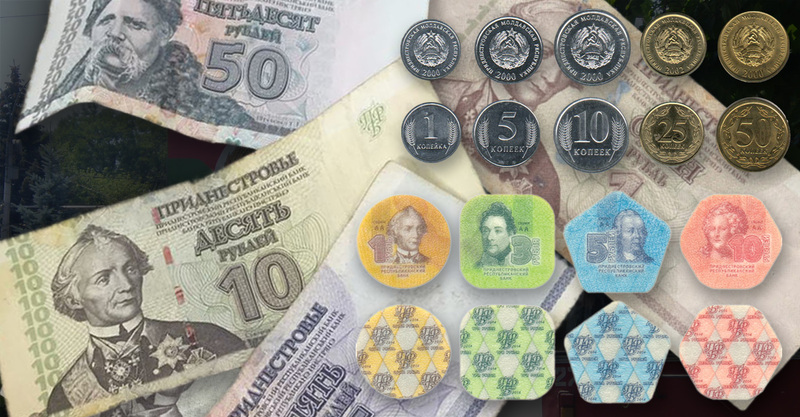 The only official currency of Transnistria is the Transnistrian ruble and Russia still didn’t recognize passports and other documents issued by Transnistrian “authorities.” Officially, Transnistria is still a part of Moldova for Russia. Abkhazian model. Another Russian occupation model was applied in Georgia, where Russia recognized the occupied regions of Abkhazia and South Ossetia as states. The Russian ruble is the only currency used in both occupied Georgian regions. Russia recognized passports of both “republics” and their holders have the right to a visa-free entry to Russia. The latest provocative visit of Russian Foreign Minister Sergey Lavrov to occupied Abkhazia shows Russia disrupting international law in its relations with Georgia. Annexation. The third Russian “occupation model” is classic annexation. In 2014 Russia annexed Crimea, establishing Crimea and Sevastopol as its federal subjects. The Transnistrian model makes occupation cheaper and more effective for Russia because the “host state” still pays social benefits for its citizens in the occupied territories, brainwashed residents of occupied areas can elect pro-Russian candidates to state government bodies, finally, this model is not so fraught with consequence on the world stage. However, the paragraphs prescribing to restore control of the state border to the Ukrainian government and pull out “all foreign armed formations, military equipment, mercenaries” from the territory of Ukraine were impractical for Russia. If Russia withdraws its troops from any occupied territory, this territory would disappear as a Russian “geopolitical project” in a few months. On February 18, President of Russia Vladimir Putin signed a decree on recognition of “passports” and other documents issued by so-called DNR and LNR in Russia. The “passports” were de facto accepted in Russia because their holders could enter Russia long before the Putin’s decree, however, this decree made them officially recognized by the Russian Federation. Russia eliminated the last “islands” of Ukrainian jurisdiction in the occupied territories by seizing Ukraine-run enterprises on March 1. One the same day so-called LNR (Luhansk people’s republic) adopted the Russian ruble as its basic monetary unit. Ruble is the “official” “major currency” in both “republics” since 2015. Recently, Russian Railways slashed rates for shipping coal and iron ore to points near the occupied areas, where the metals industry provides most jobs. All these actions indicate that Russia considered Minsk-2 failed and changed its occupation policy towards the Donbas from Transnistrian to Abkhazian model. This means Russia is going to fully separate occupied parts of Luhansk and Donetsk oblasts from Ukraine and recognize its Donbas puppet republics as states sooner or later like Georgia’s Abkhazia and South Ossetia. Former President of Ukraine Leonid Kuchma who represents Ukraine to the Trilateral Contact Group on the Donbas (Ukraine, Russia, OSCE) stated that Russia’s recognition of documents issued by the separatist areas will lead to the freezing of the conflict in the same way it did in Transnistria. However, Russia didn’t recognize Transnistrian passports. It is Abkhazian model of the Russian occupation leading to the recognition of occupied regions by Russia as independent states. Quoting the opinion of “three people close to the leadership in Moscow,” Bloomberg said that Putin has no plans to really recognize or annex the Donbas territories, however, this can very well be part of the Russian disinformation campaign. Moreover, Kremlin spokesman Dmitry Peskov has denied that Russia was preparing to annex territories in Donetsk and Luhansk oblasts. And when you consider all the other things the Kremlin has denied (things that turned out to be — you know — like, true) well, then you can’t help but wonder if the annexation of the so-called Donetsk and Luhansk people’s republics might actually be on the table. Moldova – Ukraine’s problematic neighbor or partner on the road to the EU?